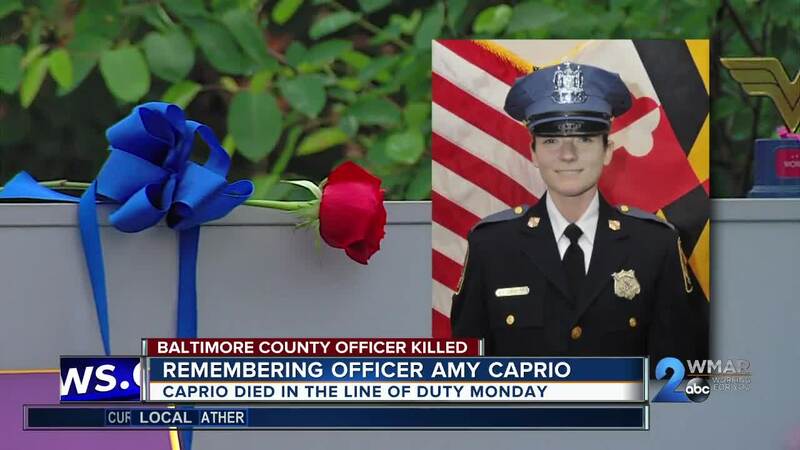 The community is remembering and mourning Baltimore County police officer Amy Caprio. 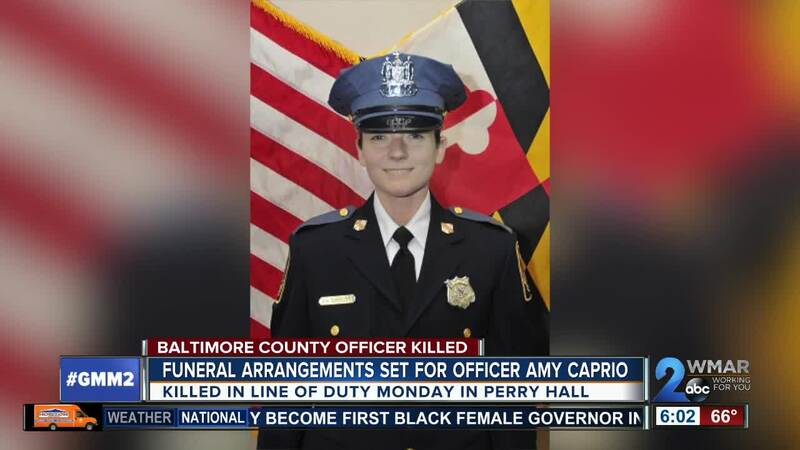 She was killed in the line of duty Monday. Caprio was the first female officer killed in the department's history. The memorial outside of the 8th precinct where Caprio was assigned continues to grow. People of all ages have stopped by with flowers and balloons to honor an officer who was just months away from her 4 year anniversary with the department and days away from her 30th birthday. "I think it's a valuable lesson for our kids to understand how important that these officers are out here risking their lives," said Baltimore County resident, Amy Briggs. Caprio lost her life while trying to keep her community safe. "You just think about their families and what their families are going through," Briggs continued. Caprio was a Towson University graduate. Her name can be seen throughout the community since she was hit and killed in a Perry Hall neighborhood Monday afternoon. "It's just tragic. These people go to work every day to protect us and then something horrible happens," Parkville resident, Dawn Sluss, told WMAR 2 News. "We get to go home and sleep at night and they're out wide awake making sure that we can rest peacefully," said Ryan Davis. Davis works near the department. Tuesday he came to pay his respects for a well-liked, fallen officer. "She usually parks across the street from my shop and in the morning, she's always smiling and waving to everyone as they drive past. You always saw a smile on her face," Davis said. Now the community is pulling together. "You have to show your support for the community that you live in when I found out she was from Parkville my heart just broke even more," Sluss said. Caprio's superiors said she had a bright future in the department. She leaves behind her husband, Tim, her parents and two sisters.